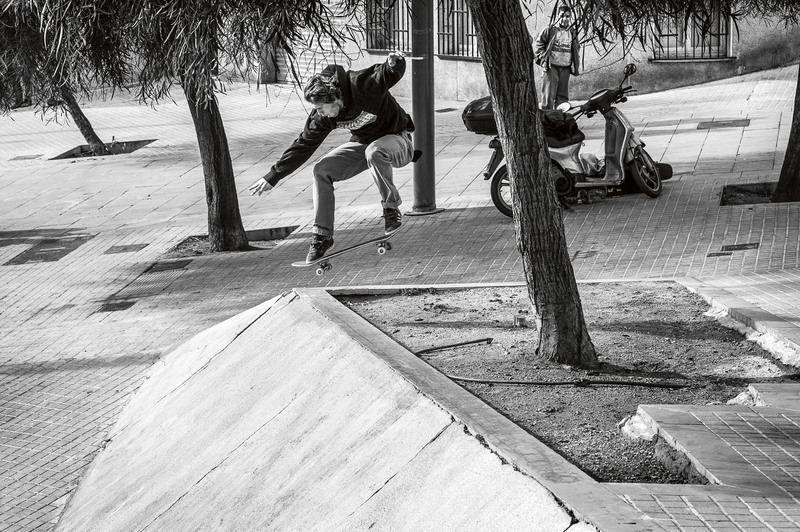 Is Samu Karvonen the hardest working guy in European skateboarding? Who else churns out three video parts in a year, films and edits videos, team manages the adidas Finland team, helps with brands ITÄ and Frank, works part-time for the Finnish Skateboarding Association and shoots magazine-worthy skate photographs? Oh and I mustn’t forget his tireless efforts working on the Suvilahti DIY in Helsinki! I honestly can’t think of anyone else that involved. Somehow Samu found the time to talk to us about how he manages it all, whilst also shooting a full interview for Free! The man just doesn’t stop! Samu, so what is it, three video parts coming out this year (Where We Come From, ITÄ, Antiz)? You’ve been busy eh? Well I’ve been busy the past four years really and now it’s just paying off I guess. I should have a holiday year coming! Well it’s been a long ride to get to this year… It all started from trying to do the Quiksilver film, which was supposed to come out three years ago. We were filming for that before they decided to drop the whole skate program. But Quiksilver was kind enough to give everyone their footage. And so where did this footage end up? It’s gone everywhere… I had ten minutes of raw footage for that video. There is footage from that time in all of my latest parts, but most of it’s in Lucas’ video. You can see random China tricks in WWCF and they’ll be a few in Antiz as well. trips right? 5-star hotels, swimming pools, etc. Well it wasn’t really 5-star hotels, but it was definitely luxury compared to what I would put my money into a normal vacation. We did a lot of trips. It was the most work I’ve ever put into skating. I mean they were paying us well so you definitely wanted to pay them back by trying your best. But yeah, we did cruise around the world quite a lot to make the video and get photos for catalogues and all these ads. It was definitely the golden days I would say. So how did it all end? What did Quiksilver say? Well they started to have a look on the excel files and they realised that it’s not lucrative to put all this money into skateboarding. So they decided to drop the skateboarding and snowboarding wings of the brand. I heard some of the US riders never got a call, they just found out through rumours. But for us they kept the contracts we had so I had a year to find out what to do next basically. Yeah it was a really mellow and nice break-up I’d say. And now you ride for Carhartt? Yeah, I just got on in January – it’s great. So can you tell us how you got linked up with Antiz in the first place? Well my girlfriend studied in Berlin six years ago, or her mum stayed there, she’s Finnish, and she would stay there in the summers. So I would go there and stay for a while and I would go skate and I was in a few sessions with Julian Dykmans. And then on one session Steve (Forstner) was also there. I was riding for the European Blind team at that time thanks to Sami Seppala. Sami hooked up Eniz (Fazliov), Simo (Makela) and myself with Dwindle at that time. Ha yeah. So then I was just skating with Julian and Steve and then going to the airport the next morning to head back to Finland I got a phone call from Julian. He asked me what the deal was with Blind and if I was happy with it. I told him Blind was not the same as it used to be, but it’s still cool and there are possibilities to go forward with it. But then I asked him what he had in his mind. Julian then asked me if I wanted to join them on an Antiz tour in Italy. So I said: ‘yeah of course! If you want to pay for my trip for sure I’ll come, but I can’t say yes or no about anything at this time.’ He said that was no problem and he wanted me to just come on one tour and see what happens after that. And so I went on the trip, and Julian wasn’t on it, but the Steve was and I met Juju (Julien Bachelier) and I knew Gabeeb (Gabriel Engelke) a bit, but yeah, it was such a good tour so it was easy to jump on the team after that. But it was hard to make the call to Sami. He always helped us out. But Eniz had just left to Alien (Workshop) and then Simo as well. So I was the last one and I had to tell Sami it was my time to go. So Sami said he was gonna talk to Bill Weiss and try and get me more and what not, so I gave him a few weeks to see. But I think it’s more than getting money or going to the US, these Antiz guys just seemed to be doing more like what I was doing so it felt more natural. I see. So any theories on why so many good skateboarders come from Finland, a country where you can only skate for half the year. Good skateparks? Less school? Good financial support from the government if you don’t work so people chose to skate all day? Yeah I always give the same kind of answer… I think it’s just because the weather isn’t good for that long, so when it is we just try and make the most out of it. But also Finland is a welfare country and you can definitely live with just doing nothing. So there are a lot of skaters that are so-called ‘social bums.’ They just skate and go and fill out a few forms and get money from the government every month. This helps them keep skating and living the dream. I don’t know about other countries, but figuring out how to not do anything and still stay alive in Finland is quite easy. You travel quite a lot with skateboarding. How often are you at home in Finland? Yeah in the Quiksilver days I was away even more. But yeah, I love to be somewhere else all the time as long as I’m based in Finland. I never feel bored of or bummed to go back to Finland. Do you skate a lot when you are home or do you find you skate more on trips? I guess a bit of both. I do have to work a bit to stay alive in Finland so of course when I go on a trip it’s 24-7 skateboarding. And what kind of work do you do in Finland when you are home? I work with the Finnish Skateboarding Association with Anssi Paukkunen. We are the two people that get paid for it. Anssi’s full time and I just work certain hours with it. We consult skaters from around Finland and we meet up with them a few times each year to plan events and figure out what we want from Finnish Skateboarding in the next year. We like to consult with others to make sure we are all on the same path. Have you ever thought about moving somewhere else besides Finland? Yes, but I’ve just never left yet. When I was paid enough to just skate all the time it was really easy for me to go to Berlin all the time. I know a lot of people in Berlin and I could see myself living there. Also I can handle a bit of German, but since I started doing stuff with the (Finnish) Skate Association I always feel there’s a lot to do in Finland. I’ve thought about it, but it’s never happened so far – but never say never! Also you shoot a lot of photos of skating when you are not skating… How did you get into that? My mum is a photographer and she worked in a photo store for many years. So somewhere around 2004 we went to Athens… I think it was one of the first skate trips we did without our parents. Eniz and some other Finnish guys were with me and I just took a film camera with me. 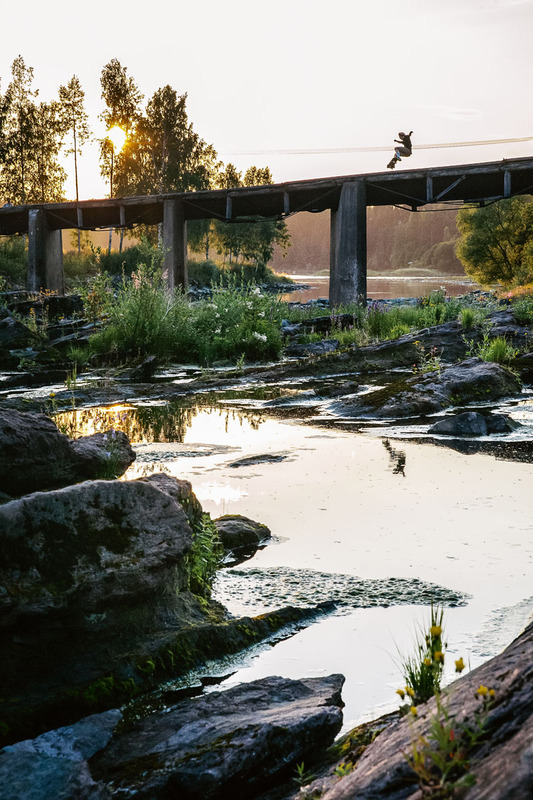 And I’d probably shot a few photos before that in Finland, but on that trip I managed to get a few really nice shots that ended up in the Finnish skate mag Hangup. From there I just kept bringing my camera with me and it evolved from that point to where a few years later I had so many negatives of pictures I took. So I had to re-evaluate my photography and ask myself: ‘what am I going to do? Am I just going to stash all these negatives and never do anything with them or am I going to get them on the computer, use them somewhere and do something with them?’ It was the time before Instagram and Facebook so there wasn’t really a place for all my photos. In my opinion photographs are meant to be shared, especially if there’s some friends of yours in the photos. So do you ever think you’ll become a full-fledged skate photographer? Yes then everyone will accuse you of becoming a proper photographer! Yeah, the same as I always carried a photo camera – we always had a video camera with our crew. We always made videos and I think I’ve always been involved in it. Making videos is part of skateboarding. 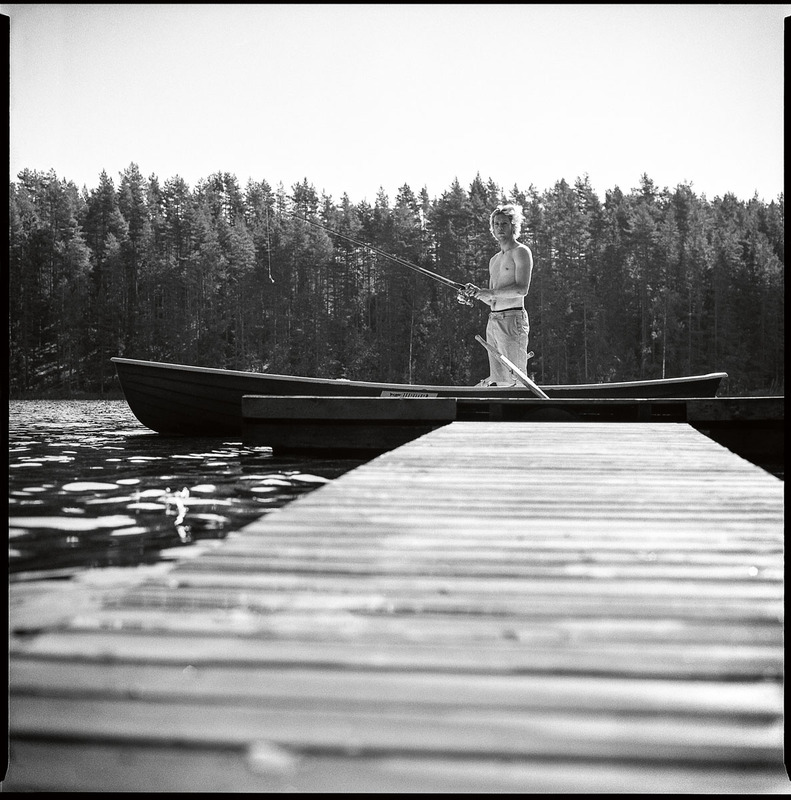 Can you tell us about ITÄ… How did that get started? Well it started from those videos basically. It’s just made up of people that we skate with. There was a video, the name escapes me now, but all the leftover footage from that video I made an edit with and I called the edit ITÄ, which means ‘east’ in Finnish. I just found some songs and made a video of leftover footage and then we did a blog. So is it the main crew you skate with in Finland? Yeah, our main guys combined with some inside jokes and we put up a blog to share stuff between each other. It gave us a platform … I mean I think there was Myspace at that point, but people didn’t use it that much so blogs were getting more hype. With the blog and videos next we did stickers and we worked with Lamina here in Finland. Lamina does our ITÄ board distribution. Pete (Ruikka) works there and I used to, so Pete and I would sit around and think what we could do for ITÄ. So one year we asked the guys at Lamina if we could do a white board with the black mask. And that’s how we started doing boards as people liked it and it was really easy to sell. Now we have a full range of hardware and accessories and we are on a mission thinking about what to do next with ITÄ. We are really putting our effort and time into it. Pete also tells me you are the Finnish TM for adidas skateboarding. So how do you do it all? Pro for Antiz, shooting skate photos, working on ITÄ, working with the Finnish Skate Association, working on the Suvilahti DIY, I hear you help out Dallas (Rockvam) a bit with Frank, team managing for adidas… Do you not feel overwhelmed? I am! (Laughs) The past few years I see that I can’t do everything as good as I want it to because my mind is doing too many things at once. Recently I’ve learned how to say ‘no’. I’ve gone so far always doing everything and always being the ‘yes-man’ on projects. It got to the point that I had to say no to projects I really wanted to do, but I just knew I wouldn’t have the time to do it in the timeline that someone would ask me to do it. But at the same time I knew that I didn’t want to do regular work (non-skateboarding related) so by doing everything and being ready to do something when somebody asks creates a job in itself. So far it’s worked. So by doing lots of these little projects it gets you enough money to survive and carry on? Yes, but even most of these things don’t even pay me at all, they cost me, but at the same time it’s like going to school: I pay for my education and maybe some day someone needs help building a skatepark and they can call me and I can help them out. I know how to do that… Then I can help them out with a website, social media, taking photos, etc. Samu Karvonen is a one-stop shop for all your skateboarding needs! Yeah I feel lucky that I’ve never really had to search for a job as I was always just doing everything. There are a lot of jobless people, who are really educated, but I never went further than high school and I’m still able to live my dream all the time. I feel really lucky. Yeah it’s pretty incredible. So what do you have planned next for the overwhelming life of Samu? That’s the question… I’m just going to keep myself busy. And I hope maybe someday, well I don’t have to hope, it will get me somewhere, but it’s just if I’m happy with it or not. Exactly. That’s the best thing for me to do, just keep busy. I know things good things will come from it.